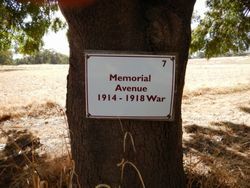 The Avenue of Honour was planted to commemorate local soldiers who served in World War One. 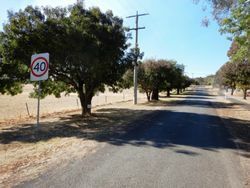 The trees were planted along the road to the recreation reserve. Ararat Advertiser (Vic), 7 May 1918, 15 August 1918.